On properties that have graded land, we can construct retaining walls that lend support to the landscaping and prevent soil erosion. 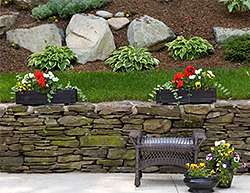 These retaining walls can be used to hold back slopes and create driveways and walkways on your property. 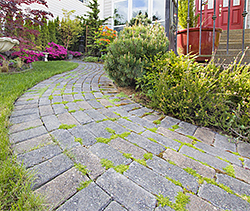 We can provide you with natural and artificial stones and boulders to enhance the look of your landscaping. We create very artistic structures, and with the right kind of setting and outdoor lighting, these stones and boulders can easily become the focal point of the landscape. 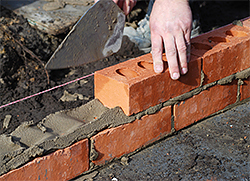 As you can see, there are a number of masonry materials that can be used to enhance the look of landscaping. California Creations has years of experience in this space and we can install the kind of features you like in materials of your choice to give you the landscape you had envisioned. Contact us on 818-083-1213 or send us your queries on this online form.